Would you have guessed that I’m a stamp collector? But let’s play a little game of pretend. Let’s pretend that we have a huge dataset of stamp images. And we want to take two arbitrary stamp images and compare them to determine if they are identical, or near identical in some way. In general, we can accomplish this in two ways. The first method is to use locality sensitive hashing, which I’ll cover in a later blog post. The second method is to use algorithms such as Mean Squared Error (MSE) or the Structural Similarity Index (SSIM). In this blog post I’ll show you how to use Python to compare two images using Mean Squared Error and Structural Similarity Index. Figure 1: Our example image dataset. Left: The original image. Middle: The original image with contrast adjustments. Right: The original image with Photoshopped overlay. Here you can see that we have three images: (left) our original image of our friends from Jurassic Park going on their first (and only) tour, (middle) the original image with contrast adjustments applied to it, and (right), the original image with the Jurassic Park logo overlaid on top of it via Photoshop manipulation. Now, it’s clear to us that the left and the middle images are more “similar” to each other — the one in the middle is just like the first one, only it is “darker”. But as we’ll find out, Mean Squared Error will actually say the Photoshopped image is more similar to the original than the middle image with contrast adjustments. Pretty weird, right? While this equation may look complex, I promise you it’s not. # return the MSE, the lower the error, the more "similar"
So there you have it — Mean Squared Error in only four lines of Python code once you take out the comments. On Line 7 we define our mse function, which takes two arguments: imageA and imageB (i.e. the images we want to compare for similarity). All the real work is handled on Line 11. First we convert the images from unsigned 8-bit integers to floating point, that way we don’t run into any problems with modulus operations “wrapping around”. We then take the difference between the images by subtracting the pixel intensities. Next up, we square these difference (hence mean squared error, and finally sum them up. Line 12 handles the mean of the Mean Squared Error. All we are doing is dividing our sum of squares by the total number of pixels in the image. Finally, we return our MSE to the caller one Line 16. MSE is dead simple to implement — but when using it for similarity, we can run into problems. The main one being that large distances between pixel intensities do not necessarily mean the contents of the images are dramatically different. I’ll provide some proof for that statement later in this post, but in the meantime, take my word for it. It’s important to note that a value of 0 for MSE indicates perfect similarity. A value greater than one implies less similarity and will continue to grow as the average difference between pixel intensities increases as well. The SSIM method is clearly more involved than the MSE method, but the gist is that SSIM attempts to model the perceived change in the structural information of the image, whereas MSE is actually estimating the perceived errors. There is a subtle difference between the two, but the results are dramatic. Furthermore, the equation in Equation 2 is used to compare two windows (i.e. small sub-samples) rather than the entire image as in MSE. Doing this leads to a more robust approach that is able to account for changes in the structure of the image, rather than just the perceived change. The parameters to Equation 2 include the (x, y) location of the N x N window in each image, the mean of the pixel intensities in the x and y direction, the variance of intensities in the x and y direction, along with the covariance. Unlike MSE, the SSIM value can vary between -1 and 1, where 1 indicates perfect similarity. Luckily, as you’ll see, we don’t have to implement this method by hand since scikit-image already has an implementation ready for us. Let’s go ahead and jump into some code. We start by importing the packages we’ll need — matplotlib for plotting, NumPy for numerical processing, and cv2 for our OpenCV bindings. Our Structural Similarity Index method is already implemented for us by scikit-image, so we’ll just use their implementation. Lines 7-16 define our mse method, which you are already familiar with. We then define the compare_images function on Line 18 which we’ll use to compare two images using both MSE and SSIM. The mse function takes three arguments: imageA and imageB, which are the two images we are going to compare, and then the title of our figure. We then compute the MSE and SSIM between the two images on Lines 21 and 22. Lines 25-39 handle some simple matplotlib plotting. We simply display the MSE and SSIM associated with the two images we are comparing. Lines 43-45 handle loading our images off disk using OpenCV. We’ll be using our original image (Line 43), our contrast adjusted image (Line 44), and our Photoshopped image with the Jurassic Park logo overlaid (Line 45). We then convert our images to grayscale on Lines 48-50. Now that our images are loaded off disk, let’s show them. On Lines 52-65 we simply generate a matplotlib figure, loop over our images one-by-one, and add them to our plot. Our plot is then displayed to us on Line 65. Finally, we can compare our images together using the compare_images function on Lines 68-70. Figure 2: Comparing the two original images together. Not surpassingly, the original image is identical to itself, with a value of 0.0 for MSE and 1.0 for SSIM. Remember, as the MSE increases the images are less similar, as opposed to the SSIM where smaller values indicate less similarity. Figure 3: Comparing the original and the contrast adjusted image. In this case, the MSE has increased and the SSIM decreased, implying that the images are less similar. This is indeed true — adjusting the contrast has definitely “damaged” the representation of the image. 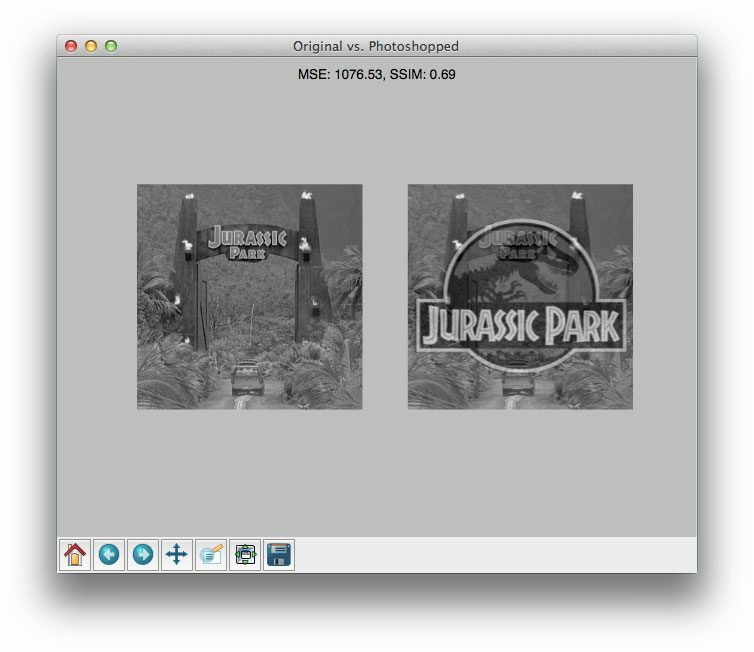 Figure 4: Comparing the original and Photoshopped overlay image. Comparing the original image to the Photoshop overlay yields a MSE of 1076 and a SSIM of 0.69. A MSE of 1076 is smaller than the previous of 1401. But clearly the Photoshopped overlay is dramatically more different than simply adjusting the contrast! But again, this is a limitation we must accept when utilizing raw pixel intensities globally. 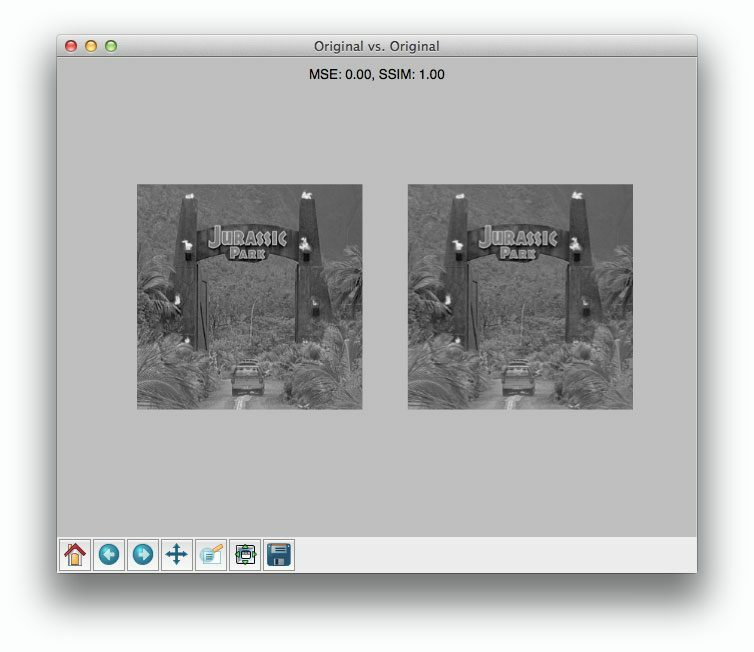 On the other end, SSIM is returns a value of 0.69, which is indeed less than the 0.78 obtained when comparing the original image to the contrast adjusted image. In this blog post I showed you how to compare two images using Python. To perform our comparison, we made use of the Mean Squared Error (MSE) and the Structural Similarity Index (SSIM) functions. While the MSE is substantially faster to compute, it has the major drawback of (1) being applied globally and (2) only estimating the perceived errors of the image. On the other hand, SSIM, while slower, is able to perceive the change in structural information of the image by comparing local regions of the image instead of globally. In general, SSIM will give you better results, but you’ll lose a bit of performance. But in my opinion, the gain in accuracy is well worth it. Definitely give both MSE and SSIM a shot and see for yourself! Good day Adrian, I am trying to do a program that will search for an Image B within an Image A. I’m able to do with C# but it takes about 6seconds to detect image B in A and report its coordinates. Hi Xavier. I think you might want to take a look at template matching to do this. I did a guest post over at Machine Learning Mastery on how to do this. hi adrian how r u, i think i need your advice, am working in aproject and i should be able to make compare bettween 2 imgs in the for reffrence metrics can u help me plz??? Marvellous! It’s in a very good way to describe and teach. Thanks for the great work. Next step, would it be possible to mark the difference between the 2 pictures? Below is a simple way, but I am much looking forward to see an advance one. Thanks. Hi Mark, a very simple way to visualize the difference between two images is to simply subtract one from the other. OpenCV has a built in function for this called cv2.subtract. Many thanks for your reply, and guidance. I googled and I can only find some examples involved cv2.subtract for other purposes but not marking differences between 2 pictures. You have November and December posts using cv2.subtract but newbie like me just don’t get how to make it work to mark difference. Would you mind give an example, if you have time? Thanks. Hi Mark, if I understand correctly, are you trying to visualize the difference between two afters after applying the cv2.subtract function? If so, all you need to do is apply cv2.imshow on the output of cv2.subtract. Then you’ll be able to see your output. bro i have a project in biometric using face recognization for home security can u help some thing in that ???? I cover face recognition in this tutorial, I would suggest starting there. I need to compare 2 images under a masked region. Can you help me with that? I mean how to i extend this code to work for a subregion of the images. Also i do a lot of video processing, like comparing whether 2 videos are equal or whether the videos have any artifacts. I would like to make it automated. Any posts on that? Hi Mridula. If you’re comparing 2 masked regions, you’re probably better off using a feature based approach by extracting features from the 2 masked regions. However, if your 2 masked regions have the same dimensions or aspect ratios, you might be able to get away with SSIM or MSE. And if you’re interested in comparing two images/frames to see if they are identical, I would utilize image hashing. I am looking something similar to what you are doing on automation of comparing 2 videos..
Any input on what you are using and go ahead..
Hi Bhavesh, if you are looking to capture an image from your webcam, take a look a this post to get you started. It shows an example on how to access your webcam using Python + OpenCV. From there, you can take the code and modify it to your needs! Thanks for this. I’ve inadvertently duplicated some of my personal photos and I wanted a quick way to de-duplicate my photos *and* a good entry project to start playing with computer vision concepts and techniques. And this is a perfect little project. Hi Weston, I’m glad the article helped. You should also take a look at my post on image hashing. I am trying to evaluate the segmentation performance between segmented image and ground truth in binary image. In this case, which metric is suitable to compare? That’s a great question. In reality, there are a lot of different methods that you could use to evaluate your segmentation. However, I would let your overall choice be defined by what others are using in the literature. Personally, I have not had to evaluate segmentation algorithms analytically before, so I would start by reading segmentation survey papers such as these and seeing what metrics others are using. How do I compare images of different sizes? Hey Timothy, if you want to compare images of different sizes using MSE and SSIM, just resize them to the same size, ignoring the aspect ratio. Otherwise, you may want to look at some more advanced techniques to compare images, like using color histograms. How do I resize them to the same size ? You can use the “cv2.resize” function. If you’re new to working with OpenCV and resizing images, no worries, but I would also suggest reading through Practical Python and OpenCV where I discuss the fundamentals of image processing using OpenCV. I hope that helps point you in the right direction! That was a very informative post and well explained. I have it working with png images, do you know if it’s possible to compare dicom images using the same method? I have tried using the pydicom package but have not had any success. Hi Ciaran, I actually have not worked with DICOM images or the pydicom package before. But in general, if you can get your image into a NumPy format, then you’ll be able to apply OpenCV and scikit-image functions to it. Thanks for the response, I have worked it out using NumPy and it’s now working for me. Thanks! Hey Ciaran, glad to hear you got working with DICOM images in python and PIL. I’ve been having some trouble. Would you be able to send over some starter code on using numpy to bridge the two packages? Thanks! Thank you for this great post. I am wondering how post about locality sensitive hashing is advancing? Hey Primoz, thanks for the comment. Locality Sensitive Hashing is a great topic, I’ll add it to my queue of ideas to write about. My favorite LSH methods use random projections to construct randomly separating hyperplanes. Then, for each hyperplane, a hash is constructed based on which “side” the feature lies on. These binary tests can be compiled into a hash. It’s a neat, super efficient trick that tends to perform well in the real-world. I’ll be sure to do a post about it in the future! Thank you for this great post. I am working on it . I would like to know how to convert the MSE to the percentage difference of the two images. Is there a way or a method exposed by scikit-image to write the diff between two images used to compare to another file? Also,Is there any way to ignore some elements/text in image to be compared? To write the difference between two images to file, you could just use normal subtraction and subtract the two images from each other, followed by writing them to file. As for ignoring certain elements in the image, no, that cannot be done without heavily modifying the SSIM or MSE function. Hi Adrian, I have tried a lot to install skimage library for python 2.7. but it seems there is a problem with the installations. am not able to get any help. is there anyother possible package that could help regarding the same? I am actually trying to implement GLCM and Haralick features for finding out texture parameters. Also, is there any other site that can help regarding the Skimage library problem?? You can read about the installation process on this page. You weren’t specific about what error message you were getting, so I would suggest starting by following their detailed instructions. From there, you should consider opening a “GitHub Issue” if you think your error message is unique to your setup. Finally, if you want to extract Haralick features, I would suggest using mahotas. I am working on a project in which i need to compare the two videos and give an out put with the difference between the reference video and the actual converted video. And this white process needs to be automated.. If you’re looking for the simple difference between the two images, then the cv2.absdiff function will accomplish this for you. I demonstrate how to use it in this post on motion detection. hi adrian…..I am working on a project in which i need to compare the image already stored with the person in the live streaming and i want to check whether those persons are same. That’s a pretty challenging, but doable problem. How are you comparing the people? By their faces? Their profile? Their entire body? Face identification would be the most reliable form of identification. In the case that people are allowed to enter and leave the frame (and change their clothing), you’re going to have an extremely hard time solving this problem. 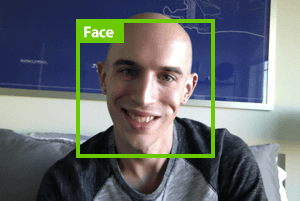 Got it, so you’re looking for face identification algorithms. There are many popular face identification algorithms, including LBPs and Eigenfaces. I cover both inside the PyImageSearch Gurus course. 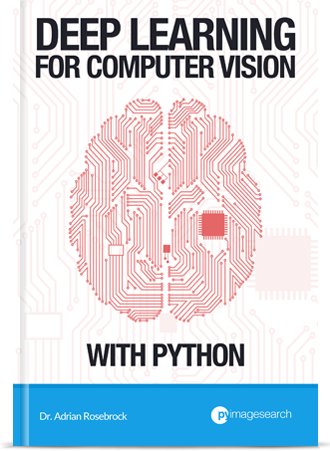 Hey Anu, you might want to take a look at Practical Python and OpenCV. Inside the book I detail how to build a system that can recognize the covers of books using keypoint detection, local invariant descriptors, and keypoint matching. This would be a good start for your project. Other approaches you should look into include HOG + Linear SVM and template matching. Hi Adrian, I want to do a comparison analysis for the signatures on bank cheque. Could you help me with the coding and the complete approach. Sorry, I do not have any experience with signature verification. Hi Adrian, read your article and is quite helpful in what I am trying to achieve. Actually I am implementing algorithm for converting grayscale image to colored one based on the given grayscale image and an almost similar colored image. I have implemented it and now want to see how close is the resulting image to the given colored image. I have gone through your article and implemented what you have given here. 1. Is there any other method to do so for colored images or will the same methods (MSE, SSIM and Locality Sensitive Hashing) work fine? 2. Also, I read the paper related to SSIM in which it was written that SSIM works for grayscale images only. Is it really so? SSIM is normally only applied to a single channel at a time. Traditionally, this normally means grayscale images. However, in both the case of MSE and SSIM just split the image into its respective Red, Green, and Blue channels, apply the metric, and then take the sum the errors/accuracy. This can be a proxy accuracy for the colorization of your image. Very useful article, for a beginner like me. images are stored in Pi SD card. There are various algorithms you can use to compare two images. I’ve detailed MSE and SSIM in this blog post. You could also compare images based on their color (histograms, moments), texture (LBPs, textons, Haralick), or even shape (Hu moments, Zernike moments). There is also keypoint matching methods which I discuss inside Practical Python and OpenCV. As for passing the result bit to the GPIO, be sure to read this blog post where I demonstrate how to use GPIO + OpenCV together. Next week’s blog post will also discuss this same topic. I am working in photgrammetry and 3D reconstruction.When the user clicks a point in the first image,i want that point to be automatically to be detected in the second image without the user selecting the point in the second image as it leads to large errors.How can this be done,i have tried cropping the portion around the point and trying to match it through brute force matcher and ORB.However it detects no points. I can solve for the point mathematically but i want to use image processing to get the point. Solving for the point mathematically will always be more reliable than feature based matching methods. Do yourself a favor and do that instead. I have a project where I have to use image comparison to identify whether two components are similar. For example, there will be images of several screws from various angles imported from a database. I will then have to compare the image of a particular screw against all these images and find the correct match and identify the type of screw. The program would have to take into account the length, width and other dimensions. I’m not quite sure as to how I would go about this. I would suggest treating this like an image search engine problem. I detail how to build a simple color-based image search engine in this post. However, color won’t be too helpful for identifying screws. So you’ll want to consider using a shape descriptor instead. For what it’s worth, I have another 30+ lessons on image descriptors and 20+ lessons on image search engines inside the PyImageSearch Gurus course. I will go through it. Also, this post was very interesting to read, even though it was completely irrelevant to my project. Great stuff. does this same concept work for handwritten signature matching? It can, but only for signatures that are very aligned. Instead, I would recommend a different approach. There is a ton of research on handwritten signature matching. I would suggest starting with the research here and then expanding. I’m new to python but very interested to learn about this. Download the sample files but I’m getting this error. Make sure you have installed scikit-image on your system — based on your error message, it seems that scikit-image is not installed. Just a very quick ask: If i am to compare a set of images with my reference image using MSE to see which one fits the most, taking the mean wouldn’t be necessary right? Since I can already compare them? Just wanna make sure, thanks! Correct, you would not need to take the mean — the squared error would still work. If it’s taking a long time to compare two images, I’m willing to bet that you are comparing large images (in terms of width and height). Keep in mind that we rarely process images larger than 400-600 pixels along the largest spatial dimension. The more data there is to process, the slower our algorithms run! And while the added detail of high resolution images is visually appealing to the human eye, those extra details actually hurt computer vision algorithm performance. For your situation, simply resize your images and SSIM will run faster. you are right. my program is processing images with 640x480px and i get every frame from camera raspi capture. I test it on my computer with windows OS, it just take less than 1 sec to process 2 images, but when i use and convert that script to run on raspberry, it take more than 10 sec. It make me feel boring. I know raspberry can’t run fast as computer, so i want it process 2 image less than 5 sec, that’s great 😀 i use raspberry pi 2 and camera pi module. If you’re running the script on the Pi, make sure you use threading to improve the FPS rate of your pipeline. I am just a beginner in image processing and it would be great if you answer my questions. I have a bunch of photos of clothes (some of them are clothes themselves and the rest of them are human wearing them). I’d like to get similar photos from them with an input image. 1. Is this image search or image compare? 2. To do this, what methods do you recommend? There are many, many different ways to build an image search engine. In general, you should try to localize the clothing in the images before quantifying them and comparing them. I would also suggest utilizing the bag of visual words model, followed by spatial verification and keypoint matching. I cover building image search engines in-depth inside the PyImageSearch Gurus course. What is the exact error you are encountering? Without knowing the exact error I cannot provide any suggestions. Thank for the awesome work you’ve done here. Your tutorial works like a charm, but I’ve been playing around some large satellite images and I get a MemoryError at the mse calculation. 5000*5000 works fine but 7500*6200 throws it out of memory. Is it only dependent on my system’s RAM? Is there a way to split the array to smaller ones and still have the same result? Please see my reply to “Chris” above. You would rarely process an image larger than 600px along it’s maximum dimension. In short, try resizing your images — there won’t be any memory issue. And depending on the contents of your satellite imagery you shouldn’t see any loss in accuracy either. I was looking for a way to use android camera as “liveview device” for old analog SLR (saw some YT, not my original idea) and possibility of taking a digital photo with all the exif data after analog camera snaps it’s photo. So this method could find similar photos between analog scans and digital batch (with all the viewfinder analog data – focusing tools, various numbers, dials etc.) and embed all the relevant data into scans. Am I on the right track here? It depends on the quality of the images and how much they vary. Do you have any examples of your images from the two different sources? not yet, I am currently working on a rig that would secure smartphone behind SLR. I was trying with sticky mat but the phone keeps failing off. Actually, to reduce costs I will be testing the setup with DSLR. I was trying to compare an image with a part of another image. The method was not working when I used if condition. Then after a lot of search, I ended up here. Finally, your mean square method worked. Thank you. I’m glad the post helped Sakshi! Thanks! For others who have asked questions, the compare_ssim function (as opposed to the deprecated structural_similarity) accepts multi-channel (such as RGB) images (and averages the SSIM of each channel). It may be faster on large images due to a more optimized algorithm. Also, it will optionally return an image of the SSIM patches, so that you can see which regions of the image match. Thank you for sharing Diane! I will play around with the updated compare_ssim function and consider writing an updated blog post. Hello Adrian, and thank you very much for all that you do. Hey Justice — be sure to check the image.shape, not the .size. It could be that your slicing isn’t correct. unable to print values of mse and ssim……please help…. Can the above described algorithms be used for comparing human faces with decent accuracy? If not can you suggest what I can do? For recognizing faces in images I would recommend Eigenfaces, Fisherfaces, LBPs for face recognition, or embeddings using deep learning. I discuss these more inside the PyImageSearch Gurus course. Hey thks fr the tutorial. I am working on hand palm images to extract patterns of hand of different individuals and store it in a database and again comparing it so it can use for authentication purpose. Can u suggest how can i achieve it? There are many different methods of comparing images to a pre-existing database, this is especially true for hand gesture recognition. In some cases you don’t even need a database of existing images to recognize the gesture. In any case, I would suggest working through the PyImageSearch Gurus course where I demonstrate hand gesture recognition methods. I also cover object detection methods (such as HOG + Linear SVM) in great detail. Adrian, how is MSE done for 3-channel image? You simply separate the image into its three respective channels, compute MSE, and then average the result. If your goal is to stitch images together, let keypoints and local invariant descriptors help you determine the overlap. I discuss image stitching in this blog post. Could you help me? I want to evaluate segmentation using different motion detection algorithms such as: MOG,GMM and i have dataset of videos and sequence of ground truth images. How can i compare output of my algorithm with ground truth as pixel-based comparison in order to compute TP,TN,FP , FN metrics? If you have the ground-truth data as pixel-based coordinates, then I would suggest using Intersection over Union to help you with the evaluation. 1. Subtracting the two images to obtain the difference. 2. 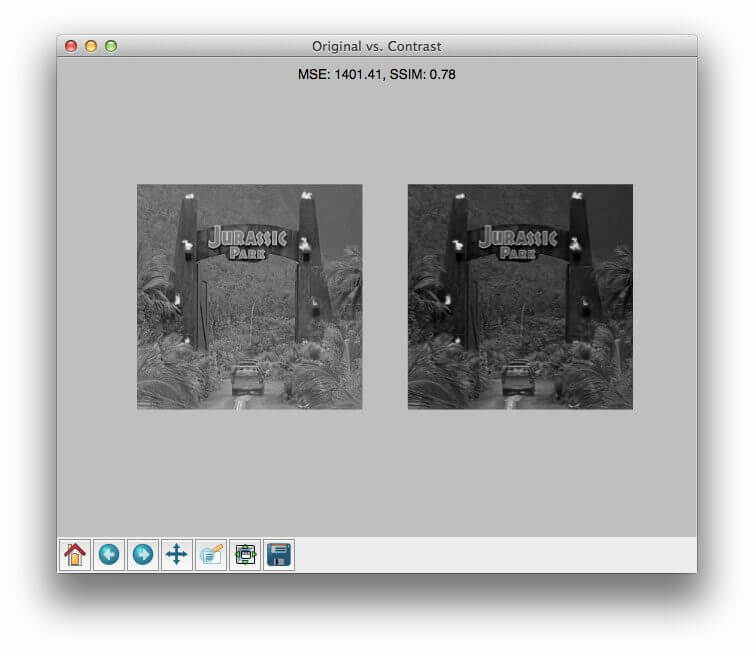 Thresholding the difference image to find regions with large differences. 3. Extract these regions via contours, array slicing, etc. 4. Drawing the bounding boxes around the difference regions. In fact, I take a very similar approach when building a highly simplistic motion detector. It really depends on the contents of the images, but I would suggest by learning all about image descriptors and how to quantify images. I cover the basics of feature extraction plus a bit of machine learning inside Practical Python and OpenCV. But I would recommend the PyImageSearch Gurus course to you as it covers 30+ lessons on feature extraction and how to compare images for similarity. This approach can be extended to video as well. Is that necessary to convert the images into grayscale? Can’t we find the MSE for colored images as well? What changes would we need to make in this code for the same? If you want to compute MSE for color images, simply compute MSE for each individual channel and average the results together. *original has been shortened to og,apart from that everything else is same even the images are same. According to my knowledge cvtColor requires either 3 or 4 parameters ,but i am unable to understand why i am getting this error here,it never appeared in earlier programs. Indeed, this error will happen if your pass an invalid path into cv2.imread. If the path does not exist, cv2.imread will return None (it will not throw an error). Running any other functions on a None object will cause the function to return an error. I was wondering if I would be able to use the SSIM method to compare specific number of pixels (lets say 20×20 pixels) on a 720p image. What I need to do is compare each 20×20 with its corresponding 20×20 pixels on the other image and then give an SSIM value for each of these comparisons. would that be possible ? I wasn’t sure if that had something to do with the win_size parameter but I think it may. I hope my question was clear enough, please feel free to ask me to clarify if it isn’t. Hi Monthir — this sounds more like a template matching problem. I would start there. Thanks for your response. I am actually trying to find the difference in intensity rather than matching those group of pixels. I’ve been through the template matching problem but it’s not quite what I am looking for. Can you elaborate more on what you mean by “difference in intensity”? By definition that’s just subtracting the two images from each other. In short, I am just trying to apply the SSIM method to a block of pixels instead of the whole image. and then cycle through a number of pixel blocks until i cover the desired portion of the image. That sounds like you might want to use a sliding window to accomplish this. As for the actual image comparison, there are hundreds of methods to accomplish this, it really just depends on the goal of your application. Hi Adrian..The code written in this website (https://www.pyimagesearch.com/2014/09/15/python-compare-two-images/) does not work when we compare different views of a same monument.For example if we compare top and side view of a temple we do not get them as similar but we should get them as similar.How to achieve this?.Please help..Which feature extraction could be better to achieve this?? Correct, this method will not work if you are comparing objects from different viewpoints. In that case, you should consider this as a CBIR problem (i.e., image search engine) and extract keypoints, compute local invariant descriptors, and apply keypoint matching. A great example of this can be found in Practical Python and OpenCV where I demonstrate how to identify the covers of books. The same techniques can be applied to your own objects. Hello, I need your code to compare two images but I don`t have idea about how to run it. Could you recommend any video tutorial or book to run your code easily ? I would suggest reading up on command line arguments. 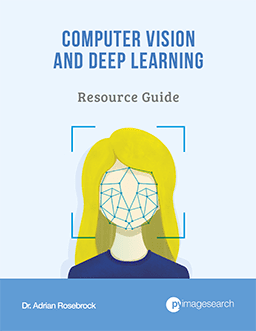 My book, Practical Python and OpenCV also covers the fundamentals of computer vision, image processing, and OpenCV which would be a good starting point for you if you are new to OpenCV. I’m using ORB to compare two images to a third image. I use ORB implementation in OpenCV. I figure that Bfmatch returns a vector of hamming distance. I need to measure how similar is image 1 to image 3 and image2 to image3. How can convert that results into a scalar similarity metric? Any suggestion? Hi Nada — I actually cover this exact question inside Practical Python and OpenCV. Inside the book there is a chapter that demonstrates how to recognize the covers of books. You can apply the exact same technique to your project. The method will return a single value that measures similarity. I would suggest you start there. Q: i have two feature vectors(.txt) now how to compare that these are same or not please help me by providing the source thanx,,, i will be really thankfull to u for this kind act. Hi Umair — I cannot write the code for you, but I can point you in the right direction. I would suggest computing the distance between your feature vectors. If they are below a certain threshold you can consider them the “same”. Without more knowledge on the types of features you are working with or the images they were extracted from, I cannot provide additional guidance. Nice. Thanks a lot Adrian. skimage_deprecation: Function structural_similarity is deprecated and will be removed in version 0.14. Use compare_ssim instead. I would think the code around the use of ssim would have to adapted. Any ideas? Please see this updated blog post. Want to compare two pdfs (can have text or images) using such method. Also, want to keep in mind colors. Is there a way to achieve an high accuracy pdf comparison in Python? Great Tutorial nevertheless. I would suggest converting the PDF to image files using a tool such as ImageMagick. Hey Ishwar — I’m not sure I understand your question. Can you try to explain it differently? Perhaps an example image would be better. I want to compare two images where original image have a black ring pattern at the centre of the object and in second image that black ring pattern not present at the centre. I want this difference. and also tell me how to show you my both images which i compare. sorry to say but here is no attachment for images or files. Please guide me. Thanks for quick Response. Hi Ishwar — I think you’re looking for a post about image difference. That post is available here. Feel free to post the images on pasteboard. Please try this tutorial which covers the updated SSIM function inside of scikit-image. Hiii Andrian, I want to compare two images and want to know in how much percentage they are matching. Could you please let me know how I can do so? Hi Vivek. There are a few ways to do this. One is by comparing histograms — but this might be too simplistic. Another is by template matching. And yet another way would be by feature matching. Without seeing the types of images you’re comparing it will be hard to recommend a method. Please post links to the images or send them to me in an email. I am working on a python code to compare two finger prints. I tried using SSIM but I realised it doesn’t take orientation into account. Could you help me with the same? I don’t have much experience with comparing fingerprints but in general SSIM is not the best approach. I would suggest reading this post on the OpenCV forums for more information. Thank you for your help! Keep up the good work!! on running the programme it throws error as deprecated, and suggests running compare_ssim instead. Hey Manish — I have an updated tutorial on using SSIm that you can find here. I hope that helps! 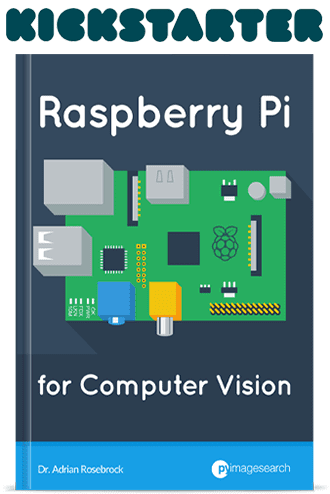 hi , i am using Rasberry Pi3B with a camera and want to detected changes occured during video life stream. I dont know how to program it with Python. Can anyone please give me some tips and help me out this problem. thank you very much for your information, I am very new to OpenCV, while I was impressed by your articles. my question is, if I want to compare two products for defect tracking, assume a simple one first, that is, to recognize the wordings on the product was engraved wrongly, I could have an original product engraved ABC, but then new product produced I do quality check, I want to find out for instance if engraved A8C I will decline. so, is that best using scikit-image SSIM compare, together w/ opencv (just like your another article below) to highlight the area then it’s the best way to go? Hey Bobby — there are a few ways to approach this problem. SSIM would be a good starting point provided you can localize the area you want to compare. Do you have any example images of what you’re working with? 2) and, even two coins has no defect, but one coin is darker, one coin is lighter, can I distinguish? Depending on the quality of the images you might be able to extract the words. The problem here is that it’s incredibly difficult to recognize characters on engravings. I ran into similar issues when working on identifying prescription pills. Again, whether or not you can accomplish this project is highly dependent on (1) the quality of the captured images and (2) if you can extract the individual characters. Looking forward to your response and valuable insights. Is there a way to do this without using matploitlib so that the code only returns the SSIM value? What I’m doing is that I’m comparing two images and don’t want all the extra stuff in it. I simply want to compare two images and get the SSIM value which I can use in a standard if-elif to make decisions. I tried commenting out the matploitlib part but that broke the code. You certainly do not need matplotlib. I used matplotlib for visualization purposes only. It is not required. Take a look at this updated post which uses the latest version of scikit-image to compute image differences and SSIM. You’ll see the SSIM value is returned as a single value that you can use if/else statements with. It’s hard to say without seeing any of your example images. Could you share some? hey adarian i just want compare two images.One image.jpg taken from user is to be compare with the images that are already stored in database in jpg format. I am using anaconda. Help me out. Exactly which method you use for image comparison is highly dependent on the contents of the image and what you are trying to compare. Are you trying to compare the entire image for similarity? Just specific parts of the image? If you can be more specific regarding your project and I can try to point you in the right direction. For what it’s worth, I demonstrate how to build a system that can recognize the covers of books by taking an input image from a user and comparing it to a database of book cover images inside Practical Python and OpenCV. I would suggest starting there for the project. I am using the above strategies but these are not working perfectly. As one of my image has transparent background. Transparent backgrounds can cause a problem as OpenCV will normally default the background to white. In that case you may need to set the background of your transparent image to match the background of your input image. hi adarian, I want to remove similar frames in video, video synopsis, is it possible using ssim, or in other method in python? Thanks for your attention. Yes, that is possible. You could compute the SSIM for subsequent frames in a video and if they are too similar (you’ll need to define a threshold for what “too similar” means) you can ignore the frames. Take a look at the cv2.VideoWriter function for writing frames to a video file. Thanks very much for your rapid reply. Wish you a happy day. I am in China, sorry for my poor english . I am using template match to detect multiple occurrences of the object (guided by a threshold parameter). I came across a few problems, and I have spent about two weeks trying to find a way to no avail. 1. If I understand correctly, the template matching algorithms always return a result irrespective of whether the object is present or not. I am using a threshold value to help me filter (choose) the choices that were not detected. So among the matches that are returned, is there a way to measure accuracy of each? (tp + tn/ p + n). The result parameter doesn’t return a metric for tp, tn, fp, fn. It returns the highest value (if I’m using cross correlation or correlation coefficient) and its coordinates. But the highest correlation coefficient value is not a metric for accuracy. Please help me find a way for this. 2. For squared difference I am to choose minimum value for the best match, how can I use a threshold in this case? Because the minimum value varies case per case basis. What I could do is return top n matches but I’d prefer if I could threshold it in terms of percentage. 3. Is there a detailed explanation for the formula for template match algorithms in open cv? I have searched a lot for this, but there isn’t any information on the formula and the proofs for it. 1. Correct, template matching doesn’t actually “care” if the object is present or not. It will return the (x, y)-position of the area with the largest correlation. To filter out false-positives you would need to (manually) set a threshold. 2. I’m not sure I understand your intention here, particularly the last sentence based on “threshold in terms of percentage”. Could you clarify? 3. If you haven’t seen it, the template matching docs include the formulas used for each template matching method used in OpenCV. 2. I need a metric to quantify how similar a match is to the template. For example a lower threshold of correlation coefficient normalized, ex: 0.6 gives coordinates to 15 matches. I need a rank for these matches in terms of percentage, like accuracy 0% to 100%. But I don’t know the number of false positive and number of true negatives. How do I calculate it? There are a few ways to approach this. A simple method to get started would be min-max normalization. This will normalize all values in the range [0, 1]. You can then set a threshold based on this value. However, keep in mind that this is not a true percentage. It’s a relative scale based on the minimum and maximum correlation values during the matching process. Thanks Nitish! I’m glad you found it helpful. Hi adrian can u tell why are u converting images into grayscale rather than comparing original images itself. Typically for SSIM you compute on a single channel or grayscale. You can compute over multiple channels as well, it just depends if color is important to your image difference calculation. What is the proper way to import a jpeg file for the mse to work properly? I am having trouble since a jpeg is not a ‘float’ and I’ve tried many ways to convert the images before the processing. The MSE function explicitly converts the input images to floating point data types. Are you getting some sort of error? What is the error you are getting? Without knowing the error I cannot provide any suggestions. I suggest you read the scikit-image documentation. I’d be careful with your wording here as “quality” can have different meanings in computer vision and image processing. What are you defining “quality” to be? Make sure you’re following this tutorial if you are using a newer version of scikit-image. hey! thanks for this video. i need your help as i want to compare two images one is real time and image contains n number of strings and alfanumeric value its kind of comparing rating plates with its pdf can you help me with some logic or algo. Hey Shruti — could you share some example images of what you’re working with? It’s hard to provide recommendations without having more details. excellent posts. Keep up the great work. Really interesting. Saving up for the books. Hello Adrian, i have a project in hand about comparing two face images of the same person and the result should be matching if its the same person. can you suggest me how to go ahead with this process? Refer to this tutorial on face recognition. Which version of scikit-image are you using? Try using this tutorial instead. Hi Adrian, I have come across this post in 2018. This works well but since deep learning is so popular now, do you think it could do this task better? Specifically, if I want to find similar images (same images after alterations, say partly photoshopped, cropped, resized, brightness changed, retouched etc. from a huge dataset of diverse images. You would want to apply “perceptual image hashing”. please how can I compare video images and stored images to output the given result…. Are you trying to compare every frame of a video? If so you’ll want to loop over each frame of the video and then apply the comparison. Have you worked with video and OpenCV before? If not, check out this tutorial for an example. a) the calculation results of SSIM and MSE dont appear along with graph like your example. I would suggest you follow my updated guide on using SSIM with the scikit-image library. I have a folder with multiple images, some of the images are having duplicates. How can i get rid of all duplicate images at a time? I am totally new to this era. You’ll want to utilize image hashing to remove duplicates. Hey Adrian, i really need quick help, that’s why i leave a comment, hoping u could help me :). Hi Adrian, first of all, thank you for this great post. I was hoping that you could help me with your opinion. I’m trying to make a software that automatically takes a photo when the user places his/her ID in a certain region of a camera. Do you think that your approach in this post is a good first step toward this? I am constrained in the sense that the users must be able to use this in low and medium end mobile devices. And if not real time (30 fps) it should be fast. What do you think?, Is there a better approach? 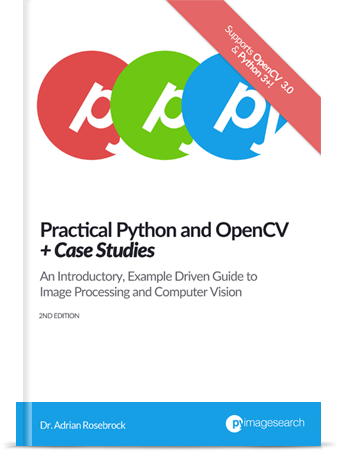 You can solve that exact project by reading through Practical Python and OpenCV. The book will teach you how to detect faces in images and define areas of an image/frame you want to monitor. The method discussed is also very fast.